Cutaway Pro Carbon short sleeve jersey. 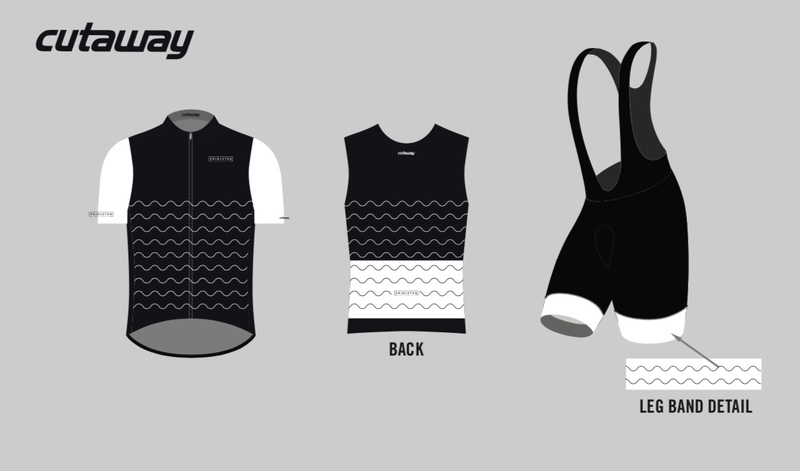 Jersey features a Carbon Fiber infused 4-way stretch aero fabric, mid length grooved aero Lycra sleeves, 4.5cm armbands, full hidden zip, three rear cargo pockets, Cloud mesh side panels for breathability and matching flat-lock stitching. The Cutaway Italian Comp Bib Short features pre-dyed true matte black premium lycra and features our Pro Carbon Air 4 Italian made Chamois, black mesh bib straps, flat-lock stitching and 6.5cm anti-slip compression leg bands for a superior fit.